I often get emails on what is the best way to market a clothing line. While there is no best way or one size fits all models, some clear top practices have emerged. One of which is the use of affiliate marketing. You can create your own affiliate program or you can join an already established network. Maintaining your own program is much harder work. Going this route will require that you go out and actively find fashion websites and fashion bloggers to join your program. This probably is not be the easiest way to get the ball rolling especially if you are new brand. A much simpler way will be to join an affiliate network. Doing so could provide a tremendous boost in sales such as how Farfetch, a luxury fashion brand was able to increase their sales by 91% by using affiliate marketing. Let’s go back to your motivation to even consider affiliate marketing. You have a new brand and you want exposure. You want brand awareness. You want sales. Engaging in a meaningful, well thought out affiliate marketing plan can help you achieve all those goals. As a business, you should always be looking for the next effective way to drive sales for your company. Affiliate marketing may be just the thing the doctor ordered. Consider this. Which scenario is more likely to happen - A or B? As a fashion brand, you may only see significant ranking for your own brand name and keywords derived from your brand name such as Your Clothing Name Shoes or Your Clothing Name Dresses. Unless you have a following, this traffic will not result in major sales activities because no one is looking for you yet. Now it is up to you to generate buzz so that people are searching for your brand name. But let’s face it; the chance of your new clothing line ranking #1 on Google or Bing for designer jeans is never going to happen. Paying for SEO Services is likely to not render that much juice. If you have a brick and mortar for your clothing line then using Google Local Optimization is great but it still will not fuel the growth that you seek for your brand. You could also think of using PPC (Pay Per Click) Advertising. However, advertising in any given clothing category is expensive. We have seen some PPC for some keywords that cost well over $2 per click. As a new business, you can’t afford to pay that kind of money just for someone to end up on your clothing website that probably will not order. In this scenario, you would have fashion bloggers penning post or creating video post about your clothing. Some will put it on their Instagram Pages and other social media accounts. Their loyal following loves your style and they decide to head over to your website and place an order. Ideally this is what happens but even without the sale, your brand will benefit just from the exposure alone. What did it cost you? Hopefully nothing if you didn’t make the sell. However, there are times where a blogger will want you to pay them up front to promote your brand. Depending on their following and influence, this may not be such a bad idea in some cases. Do your homework! However, if you have a regular affiliate agreement with the blogger, you may have worked out that you will only pay them commissions on actual sales. Now let’s go back to the beginning. What is the best way to recruit a fashion blogger to be an affiliate for your brand? Don’t confuse connecting with a fashion blogger as an affiliate and a brand ambassador. It is possible to have a blogger perform both roles but the two are inherently different. A brand ambassador is someone whom you will more than likely have to pay on the ongoing basis regardless to if they bring you actual sales or not. They will actively promote your brand almost like a spokesperson. While an affiliate is person or business that will promote your business but will only get paid based on the agreement that you made concerning sales or leads. 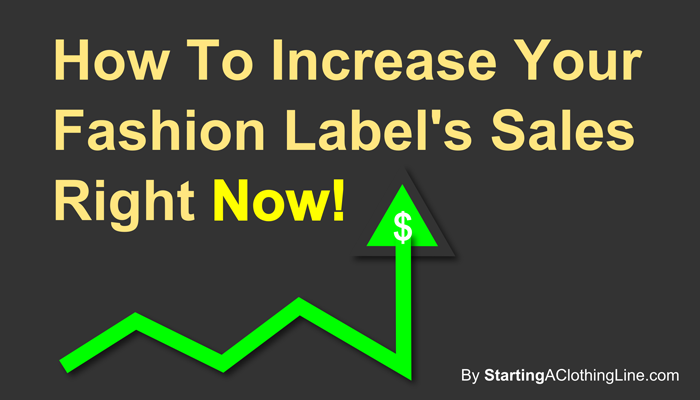 It is much easier and realistic to get an affiliate if you are a fairly new fashion label. At the end of the day, it is all about monetizing content for fashion bloggers. Do you know that a few top style bloggers are earning over $1 million dollars a year according to a few sites I came across while researching this story? They are earning that because in many cases they have a business relationships with many of the items they are promoting or mentioning on their fashion blogs. They are looking for a win win situation as well creating and upside for them as well as the brands they promote. It is truly a sharing economy where everyone wants to generate income from each other and no component is greater than the other. It is a level playing field and each member of an affiliate program (publisher and the advertiser) brings something important to the table. Brands can expect to pay around 4 to 15% or higher depending on how established the brand is. New brands will probably pay out in the upper ranges since the brand isn’t well known yet. However, you can look at it this way. The blogger affiliate is driving sales directly to your store where you are generating a greater profit margin than by selling wholesale. The ROI is by all means worth it in this scenario. This is why we urge our StartingAClothingLine.com Clients to invest in a e-commerce website. You can’t even begin to start working with affiliates networks until you do. If you are aren’t utilizing the power of fashion bloggers to harness their social influencing strength then your brand could be missing out on huge opportunities for growth, expansion, brand awareness and SALES! 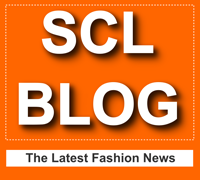 What is your opinion on working with an affiliate network for your fashion company? If you are a blogger I would love to hear your insight as well. Leave your comments below.